This week we are recapping the 7th episode of Siren, "Dead in the Water". This episode had us ALL IN THE FEELS and we're still not done recovering. What were your thoughts on this episode of Siren? OMG! We are back to recording hiatus episodes - can you believe it? We were joined by Director and Co-Executive Producer, Joe Menendez, to discuss our least favorite to our most favorite episode of season 2A. This week we are recapping the season 2 mid-season finale, "Leverage". Today's a special episode because we have David Kaye who plays Jerry on our favorite show <3. What were your thoughts on this weeks episode? This week we are recapping episode 2x6 "Distress Call". Andrea from the SHP is co-hosting while Chloe is out on holiday! This week we are recapping episode 2x6 "Distress Call". This week we are recapping episode 2x5 "Primal Instincts". This show keeps getting better & better! This week we are recapping the fourth episode of season two, Oil and Water. This week we are SUPER excited to have director Joe Menendez with us and we break down S2E3 of Siren. Today we're chatting all about Season 2 , Ep 2 "The Wolf At The Door". 16: Siren Podcast Hiatus "Get To Know Us Game" Featuring "Abnormally Adam"
Today's a SUPER SPECIAL episode. We had the pleasure of sitting down and having a chat with Curtis Lum who plays Calvin on Siren. Today we're talking all about the 2018 SDCC Coverage. 14: Siren Hiatus Episode 4 "Our Ben Episode"
Can you believe it's our VERY FIRST hiatus episode? It's the SEASON ONE FINALE!...OMG..we can't believe it's here, we are SUPER happy to share that we'll be around for Season 2 AND during the hiatus. This hiatus we plan to release NEW episodes EVERY OTHER week! This week we are recapping the 8th episode from Siren S1, "Being Human". We can't believe that the first season is almost coming to an end…what are your thoughts with S1 of Siren so far? This week we are recapping the fourth episode from season 1, "On The Road". We're also joined by the lovely Andrea from the Shadowhunters Podcast (http://youtube.com/shadowhunterspodcast)! 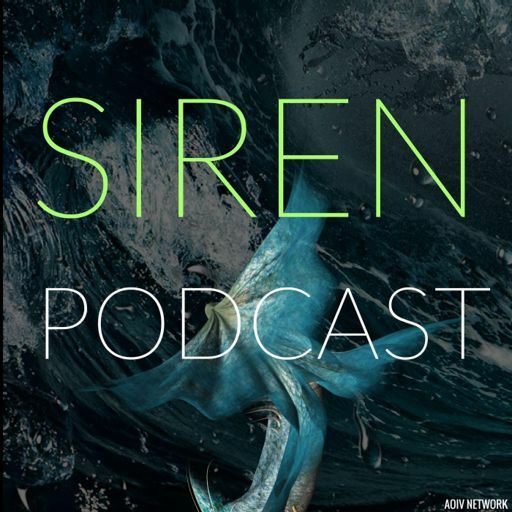 Siren Podcast S1 E3 "Interview With A Mermaid"
This week it's just us, Ashlee and Chloe, and we're recapping S1E3 "Interview With A Mermaid".